At the risk of repeating myself, popular media makes me crazy sometimes. Yes, I know that its primary function is to sell subscriptions, and thereby to make money for the stockholders. Yes, I know that it is under no obligation to avoid sensationalism. Yes, I know that readers should be smart enough to tease apart fact from fiction for themselves. Edinburgh University’s recent discovery of a new blood-biting super predator species could shine new light on the Loch Ness monster say Loch Ness experts... Adrian Shine from the Loch Ness Centre and Exhibition has spent around forty years studying the Loch, and believes that the newly discovered prehistoric predator could fit in with sightings of the famed Loch Ness monster. Well, this put me on notice right away; is it just me, or does this look nothing like the Loch Ness Monster? However, suggestions of a link between this new blood-biting predator to Loch Ness have been discounted by a leading authority on dinosaurs... Angela Milner is a retired research associate with the Natural History Museum, she said: "Crocodiles do not like our climate. We’re talking about things that have been perhaps seen in Loch Ness — no way could a crocodile survive." Oh, really? That's the strongest objection you could think of? 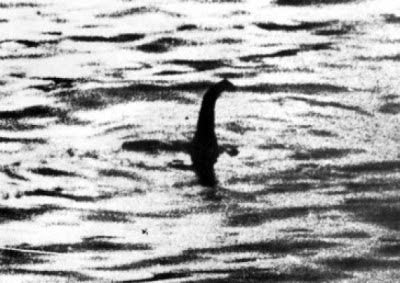 How about the fact that the Nessie photo that opened the article was proven to be a fake in 1993? How about the fact that Tyrannoneustes lived 163 million years ago, and has about as much relevance to whatever might be living in Loch Ness today as brachiosaurus has to the deer eating your vegetable garden? 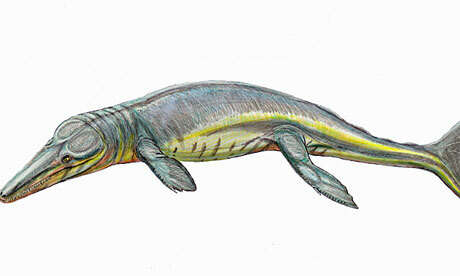 How about some mention of the fact that Scotland was completely covered by a big freakin' glacier 1.5 million years ago, so any surviving pleisiosaurs would have been converted to pleisiosaur popsicles? Being a science teacher, the whole thing makes me especially frustrated, because (unfortunately) kids are the most susceptible to the "I read it in the newspaper, it must be true" mentality. I try to combat this in my Critical Thinking class -- almost the very first thing we talk about is that there is no such thing as unbiased media, and so any time you read, listen, or watch, you should keep your brain engaged. But many, many children in this world reach adulthood without ever being taught to question what they're exposed to. So I know that you can't take what you read in an online news source as gospel. I also know that I shouldn't take this stuff so seriously. I just wish that the people who write this tripe would try a little harder to represent science correctly. But if any of my students come in and tell me today, "Hey, did you hear that they found fossils in Scotland that prove that the Loch Ness Monster is real?" I'm gonna want to find Will Cooper and shake him till his teeth rattle. 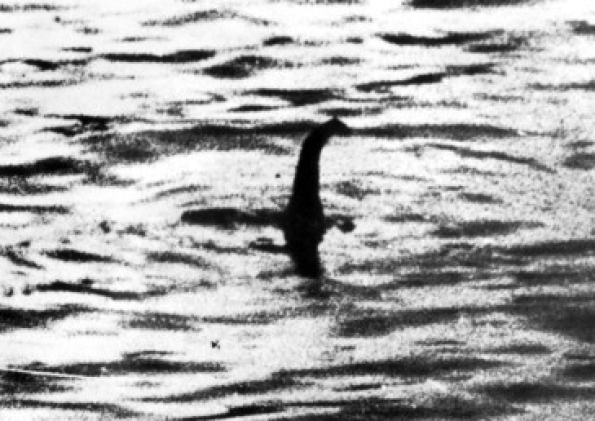 That "Nessy" picture I've been looking at for the majority stake of my life has looked, from the 1st time to the 30th time, like some guy sticking his arm out of the water like a shadow puppet. Now all we need is a drawing of Adam & Eve swimming next to it, awash in smiles and jubilee.